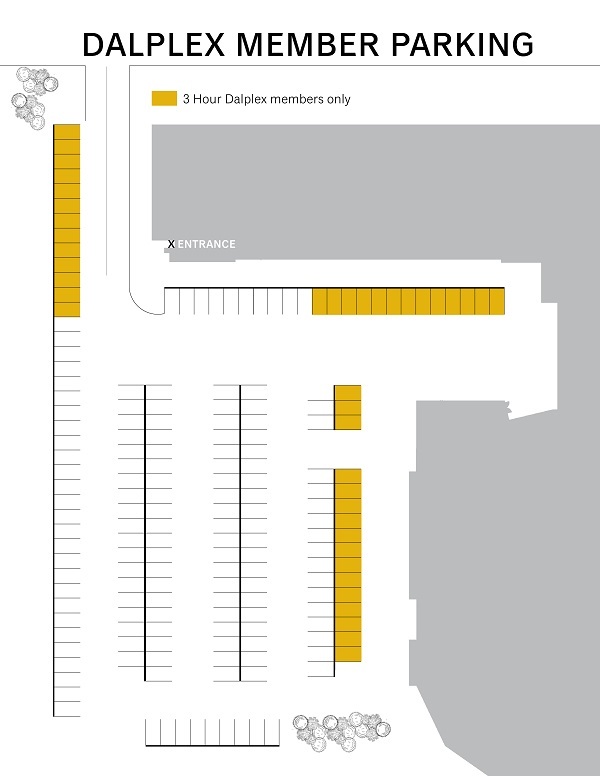 Please make note that the locations of some of the Dalplex member and Dalhousie University permit parking spaces in the Dalplex lot are changing (see map for designated parking areas), resulting in the addition of 10 new Dalplex member spots. Edited to add: The changes take effect as of Monday, September 24, at which point Dal Security Services will begin to ticket as usual. We encourage you to take extra care to ensure you are parking in an appropriate spot, based on your parking permit. A Dalplex member parking permit is only included as part of an annual Dalplex membership. Dalhousie faculty, staff or student memberships are not eligible for a Dalplex member parking pass and must purchase a university parking permit through Dalhousie Security Services. Short term memberships and day and multi-visit passes are not eligible for Dalplex member parking permits - guests can opt to either purchase a short term parking pass from Dalhousie Security Services, park at a meter or park in an non-metered spot from 4:30pm-1am Monday to Friday, and from 7am-1am on weekends. A reminder that the Dalplex parking lot is monitored by the Dalhousie Security Office. Tickets are the responsibility of the member or visitor and any dispute is to be directed to Dalhousie Security Services and the issuing officer.